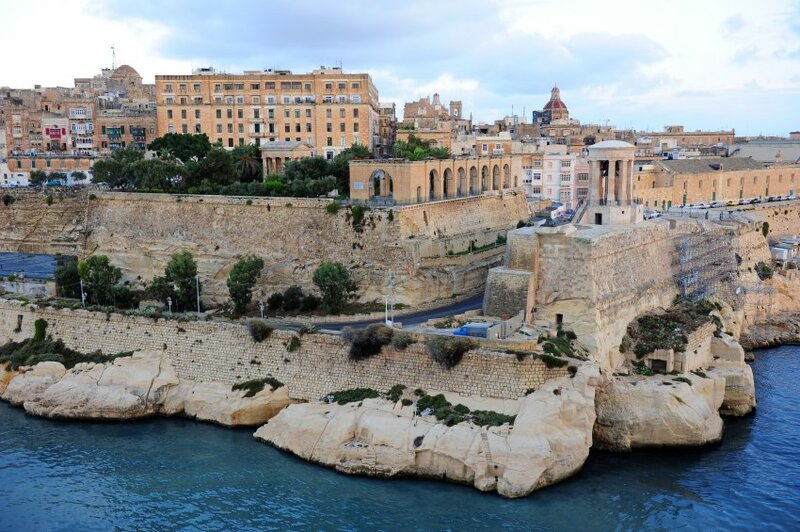 Valletta is Malta's delightful capital city and a World Heritage site. During a visit in 1830, British Prime Minister Benjamin Disraeli described Valletta as "a city of palaces built by gentlemen, for gentlemen." Indeed, what better place to construct lavish buildings and store valuable objects than in a well-fortified city? Although defense was foremost in their minds, the Knights of Malta couldn't have chosen a more scenic spot for their headquarters: The hilly peninsula between two large natural harbors provides wonderful views in nearly every direction. Valletta was named the European Capital of Culture in 2018, drawing attention not only to the city itself but to the islands of Malta, which, despite their beauty and proximity to Italy, don't get the attention they deserve. Across the Grand Harbour from Valletta, on two narrow peninsulas, are the cities of Vittoriosa, Cospicua and Senglea, all of which predate Valletta (but were also heavily bombed during World War II). Locals call them Birgu, Bormla and Isla, respectively, and collectively they're referred to as the Cottonera (the Three Cities) because they are all enclosed on the land side by a double line of fortifications. Small boats can be hired to ferry you back to Valletta. Just outside of the gates of Valletta is the town of Floriana. Valletta's bus terminus is located there, as well as the Argotti Botanic Gardens—a nice place to stroll if you have some extra time. To the northwest of Valletta, across Marsamxett Harbour, are three sprawling suburbs of interest: Sliema, St. Julian's and Paceville (pronounced pa-che-ville). Ferries link Sliema and Valletta, and Sliema is also the departure point for most island cruises.